Happy Thursday! 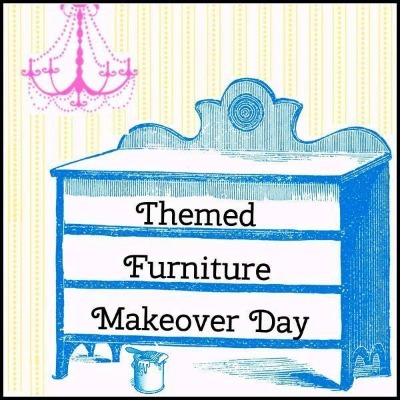 And welcome to Themed Furniture Makeover Day. It is one of my favorite posts each month. Several bloggers have a theme, choose a piece of furniture and do their interpretation of the theme. This month’s theme is small tables. 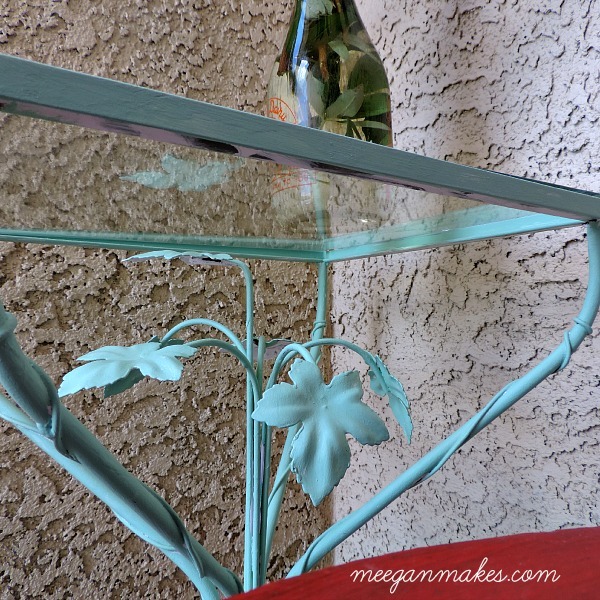 I chose to work on a Small Side Table Makeover Using Fusion Mineral Paint. I got the paint as a sample at SNAP! Conference and also used a portion on my “new” vintage sign. This is the small table is about to make a transformation from light pink to a beachy color called Laurentine. 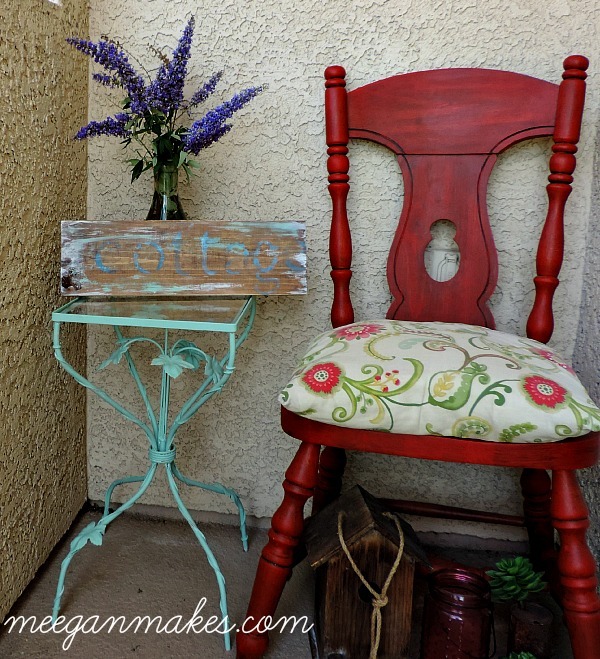 This color will be ideal for a new look on our front porch. The table was a sample from when my husband was a furniture sales rep. He carried this metal and glass table around in his car, show it to furniture store owners and then I ended up keeping it. When it was a sample, it was a gray, steel color. It was nice for the time, but I wanted a little color to it. I painted it with craft paint mixing white with a few drops of red to make it light pink. It has been like that for a few years, and I have never really liked it. Weird how that happens, isn’t it? Yep, a small jar like this will be able to paint my small table, no problem at all. This table has been in our entry way, used as a night stand, on our balcony, in our living room and now back outside on the front porch. 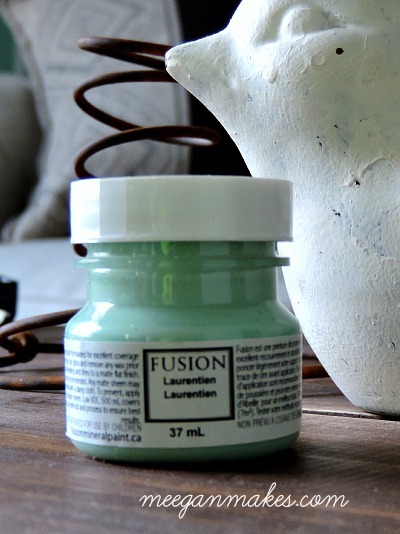 Using Fusion Mineral Paint was as easy to work with as I had been told. Two coats and it was covered. No prep work, no sanding. I really like how the new color accentuates the details on the metal leaves. You may recognize my red chair. It was part of another themed furniture day when the them was red. Adding a cushion with similar colors that coordinate with the “new” table look welcoming and inviting to our beach cottage in the desert. I really like this table. I like it even better with a fresh new coat of paint! You can see the scrolling around the legs so much better now, can’t you? I know there are a lot of other blogs you could be reading today, and I am so happy you chose to be here with me today. Have a terrific Thursday and don’t for get to check out my friends talents down below. Love it! 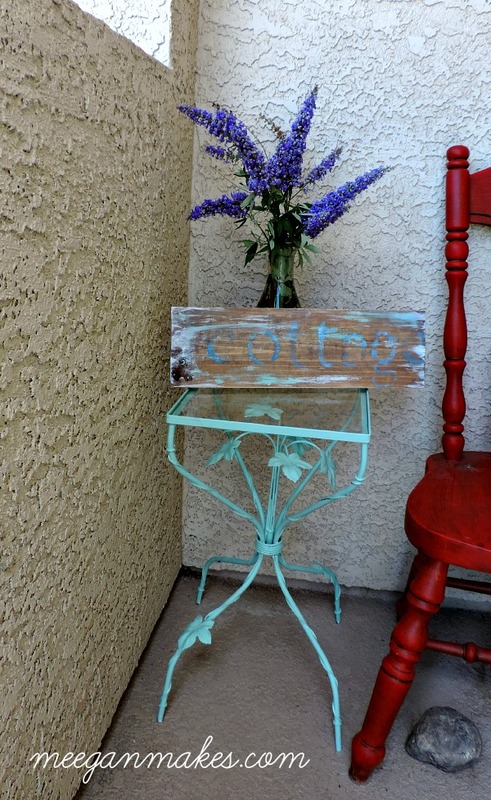 What a pretty accent for your porch. I love aqua and red together. I saw this on instagram and came straight over! The paint really does bring out all the details on it, love it next to the red! I haven’t heard of Fusion Mineral Paint. I love getting samples of products to try! This one looks like one that would be well worth purchasing. 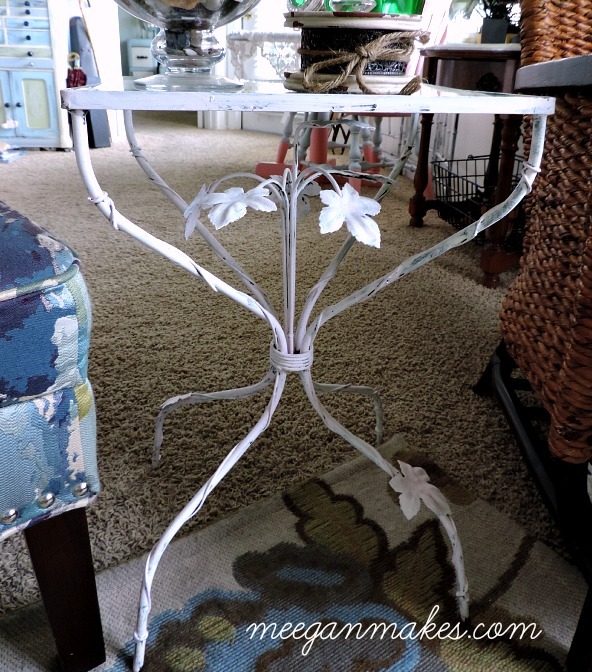 The design of this table is so pretty and it’s great that you’ve been able to use it in so many rooms in your home. 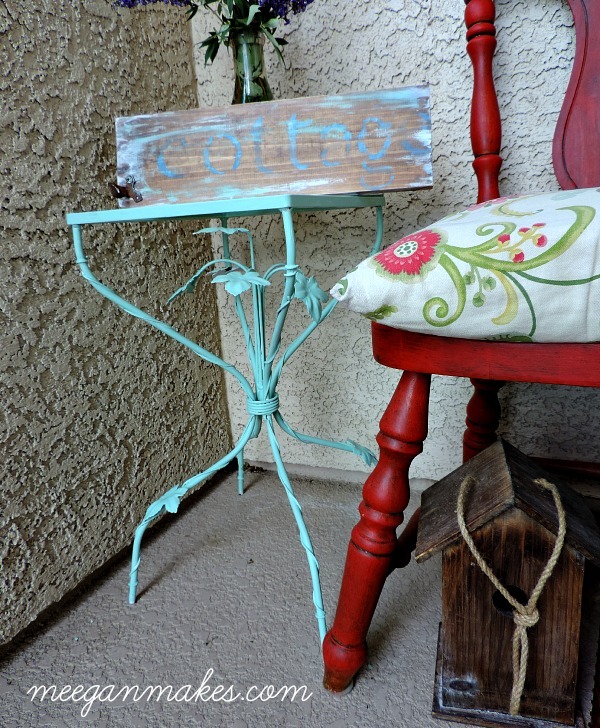 Love the color Meegan and adorable metal table – perfect for a patio! Very cute. Was that sample pot enough to do the whole table? I like that color with the red. Such a cute little table and it’s in the perfect spot. This is so cute Meegan! I love the color. Love that blue! 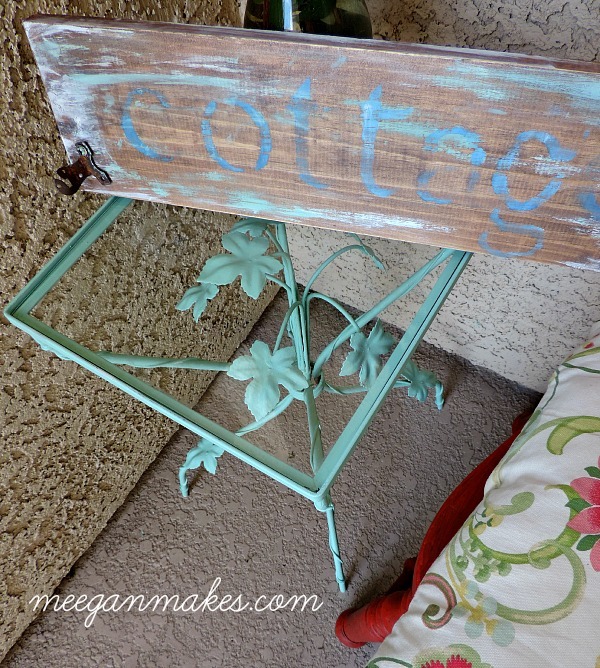 It’s a sweet table and the perfect makeover. Great job, Meegan! LOVE that color Meegan!! 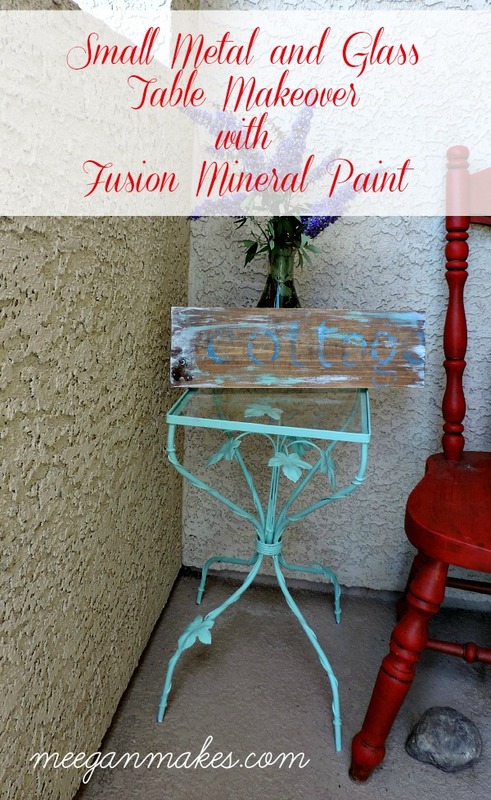 Cute table…I’ve never tried the Fusion paint before! 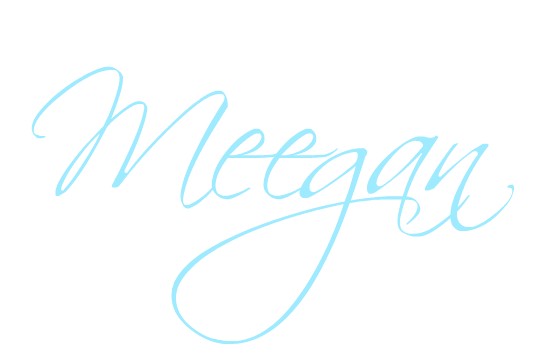 I love that color Meegan. I haven’t tried the Fusion Paint. Thanks for sharing. Loving that beautiful blue you used! I’ve never tried Fusion paint but am hearing a lot about it. 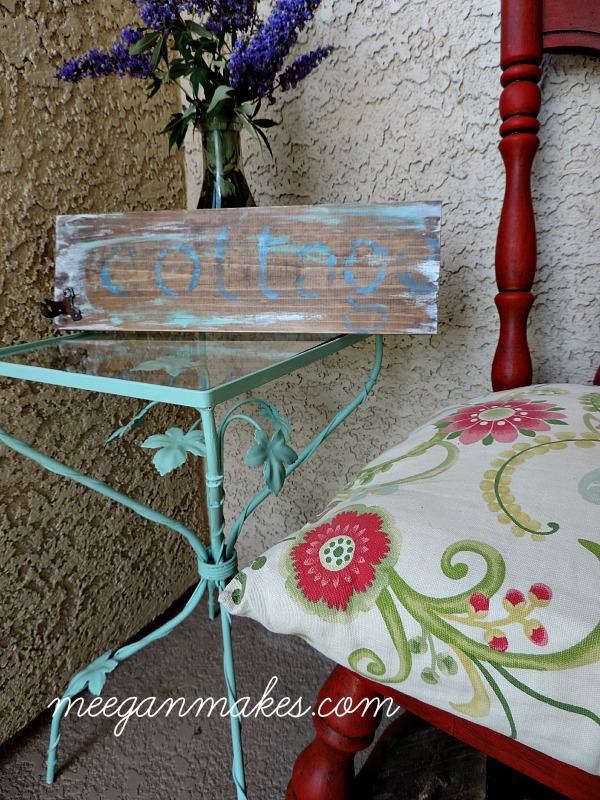 Pinned and shared your pretty table! I love the aqua next to the red, perfect! 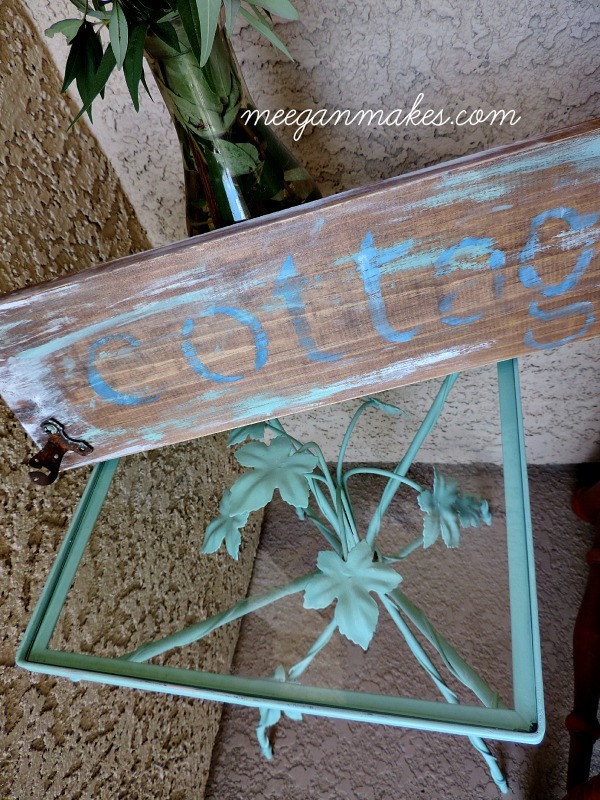 Meegan this is such a darling table – what a way to welcome guests on your porch! Also that is a beautiful color!